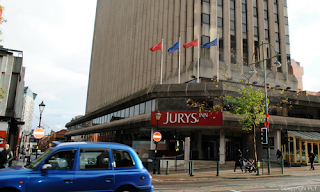 If you live in Exeter and are looking to obtain your personal alcohol licence then we hold regular courses in Exeter at the Jurys Inn Hotel. 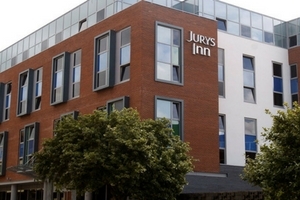 This contemporary style Hotel is just 0.6 miles from Exeter Cathedral and 1.3 miles from Exeter St David’s railway station and only a short walk away from Exeter's bus and coach station. Situated on Western Way in Exeter makes it an ideal location for ant potential APLH candidates in the Exeter area. This is a one-day training course for the qualification known as the Award for Personal Licence Holders (APLH) level 2 which will enable you to apply to Exeter Council and other local Councils in the locality for a personal alcohol licence. Certification for this course is awarded by BIIAB and the qualification is recognised by all Licensing Authorities in England and Wales. This one-day training course and exam. The course starts at 9 am and concludes at 5 pm which includes a multiple-choice examination of 40 questions sat at around 4 pm. The pass mark is 70%. The training course is provided by one of our professional tutors using the latest digital projection technology, candidates are also issued with an APLH course handbook prior to attending the training day. It is advisable to take the course handbook with you on the day for your reference. Most of our courses in Exeter attract between 15 and 20 candidates on each training day and courses are held every month. We offer all of our delegates a full licence processing service. Therefore, we can take care of processing your licence application to the local council together with doing your DBS check which is a requirement under the law when applying for a personal alcohol licence. Once granted your personal licence is valid indefinitely and it will allow you to sell or authorise sales of alcohol under a premises licence. The licence will also allow you to become an acting Designated Premises Supervisor (DPS).